يقع Barwon Heads Resort at 13th Beach في باروون هيدز, بارون هيدس, هو خيار شائع بين المسافرين. يمكن من هنا للضيوف الاستمتاع بسهولة الوصول إلى كل ما تقدمه هذه المدينة النابضة بالحياة. بالنسبة لمن يريد الخروج، هذه بعض المعالم السياحية المتوفرة للزوار ‪Jirrahlinga Koala & Wildlife Sanctuary‬, ‪Anglican Church, Barwon Heads‬. إن Barwon Heads Resort at 13th Beach حريص على توفير الراحة للنزلاء، فلا يوفر الموظفون جهداً في تقديم أفضل الخدمات وضمان حسن الاستقبال. يمكن الاستمتاع بمجموعة من الخدمات على أعلى المستويات في الفندق كمثل تسجيل وصول/خروج سريع, تخزين الأمتعة, صف السيارات, مطعم, خدمة غسيل الملابس. 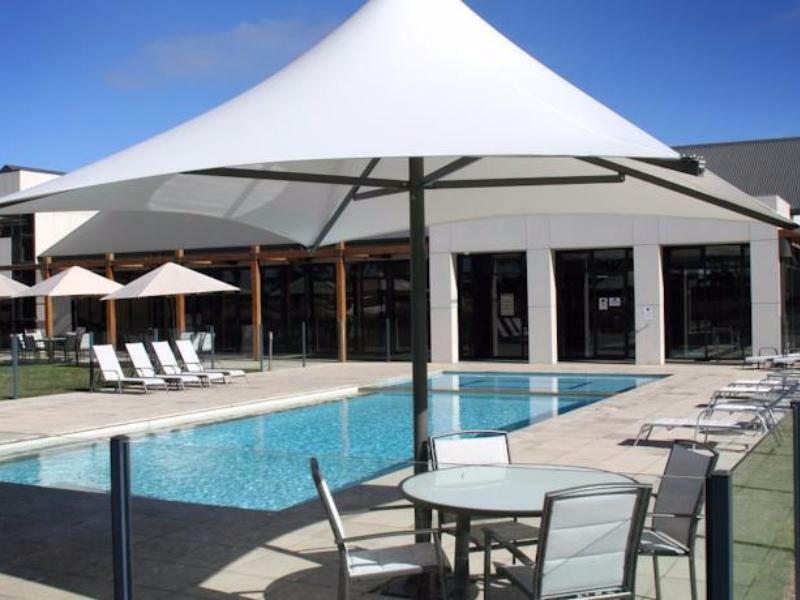 تنعكس أجواء Barwon Heads Resort at 13th Beach في غرف الضيوف.تلفزيون بشاشة مسطحة, مكيف هواء, تدفئة, مكتب, شرفة/ تراس هي بعض الميزات الموجود في العديد من الغرف. سواء كنت من محبي الرياضة أو كنت تتطلع لتفريغ عناء نهار صعب، ستجد خدمات ذات مستوى عالي بانتظارك كمثل مركز للياقة البدنية, ملعب جولف (ضمن العقار), مسار جولف - ضمن 3 كم, حمام سباحة خارجي, مسبح (للأطفال). 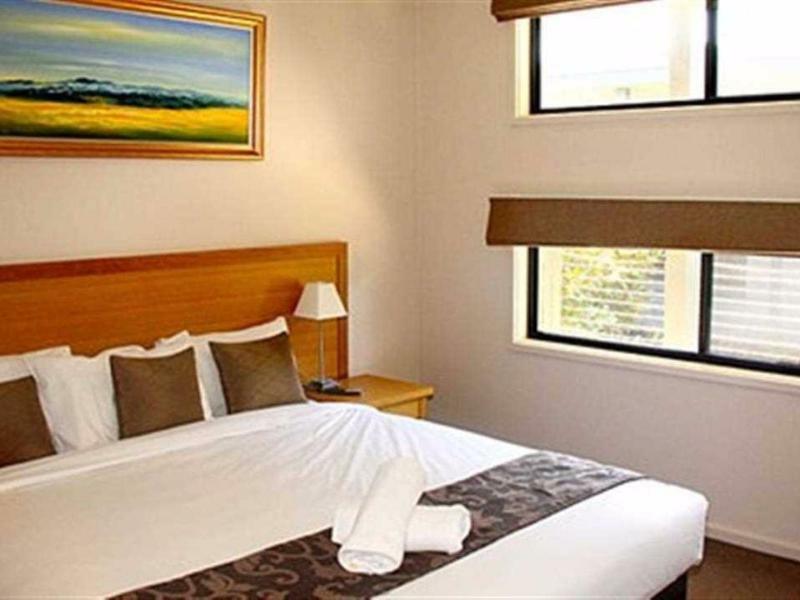 يحظى فندق Barwon Heads Resort at 13th Beach بموقع ممتاز وخدمات يصعب منافستها. 1. The room we went into was not properly cleaned. The fridge had red jam? smeared inside it. The bathroom had sand on the floor. And we found a cockroach in the bedroom. 2. There is not enough staff. 3. the sofas are used and very uncomfortable. 4. The only thing in the fridge is a very small long-life milk. (No water, etc..) 5. The sachets of tea and coffee were very old and stale. So our visit was not a happy one. Bed was okay as was the breakfast in the restaurant. Thankyou to the chef owner who stayed back when my partner and I were running late for our dinner reservation on Sunday night. Both him and Georgia were very attentive to our needs. If you like golf then the gold course looked good as well We didn't have the opportunity to take advantage of it. No Towels, no other hygenic necessaries. Room was poorly cleaned before entry. The facilities and resort are very well suited to a group of friends wanting a golf/beach holiday. I was travelling with 3 young children and while the pool facilities were very well suited to young kids there wasn't much else close by for them to do. The staff were very friendly though and I would go back with friends. With a few little tweeks this property could rate much higher - our shower head we presume at one stage was a rain shower head but home made renos seem to have installed a normal shower head - really strange for a property that charges rather high rates. Pool area although not the weather to utilise - could do with a clean - it was rather drab and dirty area. Unfortunately Internet was not available in rooms, nor was the restaurant open. We had booked as it appeared to be a one stop accomodation. The staff were nice however did not necessarily induct us on to the site so we're left to figure a few things out ourselves. For example the gate code. Perhaps this could be of attention to detail for future customers. The rooms were nice and clean and enjoyed the self contained aspect but would have liked to have been able to visit the restaurant for dinner. I had a newborn traveling with me and had to take them out in the wet/rain to head to town to pick up takeaway dinner so was a little inconvient. An assumption would be that is it not a peak period and my stay was short so perhaps these little concerns would be addressed if a different time of year and stay was longer. I must say the staff were friendly, the rooms nice and clean. Needs a lot of work to come up to the standard of a resort! The bed.......the walk.......the efficiency of the office. Women at reception was verk kind given we arrived at a very late hour. 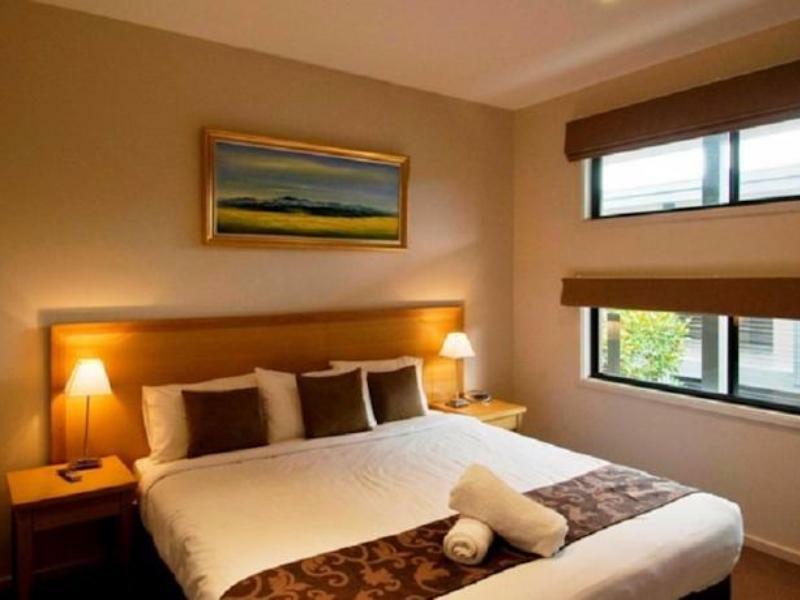 Room was extremely spacious and would definately suit a family or 2 coouples. Arrived to get ready for a wedding, no issue with the check in process, no issue with the room, full explanation of what to do later in the night if gates to the resort were closed, great breakfast in the morning. all good other than lack of onsite restaurant and NO room service! Was a real let down, especially when arriving in late with young kids! The first issue was a room that was far from clean. Biscuits from the previous guests were in the sofa and under the sofa. Dried milk runs were on the outside of the fridge and the dishwasher had remnants of food remaining. The floor had lint scattered throughout the apartment. The response from Reception was we could not do anything about this. Demanded a change of room which was done but bedding arrangement not as desired. Cleanliness inside was better however paper and leaves that greeted us on our arrival on the ground floor patio remained for the three days we were there. The sofa was broken or worn or of such poor quality it was impossible to sit on. WiFi..does not exist in the rooms, free or otherwise. This is supposed to be a 4 Star Conference Resort!!!!. Receptions response…..beyond our control. Oh on the second day we are told that WiFi can be accessed at the Restaurant but we don't know the name of the the connection or the password. Oh the Restaurant. Second day rained so we decided to eat in. Ooops the Restaurant is closed. Why? Mmmmm didn't feel like opening? The final insult was as we were packing the car the cleaners came in and started cleaning the apartment!!!! We were checking out on the prescribed checkout time yet they intruded on this final departure point! All I can say is that anyone considering staying there forget it. They have no idea of what Customer Service is about. There was not a sighting of the Manager during our stay to apologise for the poor quality of the apartment on our arrival. Absolutely abysmal. Unsatisfactory. Dilapidated lounge impossible to relax in. Collapsing cushion on base of lounge settee making seating particularly uncomfortable. No liner in kitchen bin. Insufficient milk for three adults. No biscuits or breakfast. No prior indication restaurant would not be serving dinner.Dilapidated blinds poorly fitted to main windows, so they catch on themselves when winding up and down. In all, a once only experience.